Maryland currently has eight representatives serving in the United States House of Representatives, seven of whom are men. Female incumbent, Donna Edwards, is not seeking re-election in 2016 and is, instead, seeking election to Maryland’s U.S. Senate seat, creating a timely opportunity for a new and incredibly capable female candidate to potentially take that seat: Lisa Ransom. 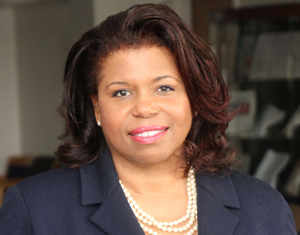 Lisa R. Ransom is a coalition builder and tireless advocate for women, families and vulnerable communities. Raised in a family of public servants, the daughter of a WWII and Korean War veteran, Ransom is committed to improving lives in her community and building collaborative efforts with labor unions, faith-based organizations, consumer and civil rights groups, educators, and Marylanders on social and economic issues. Ransom was elected in 1994 as the first African American woman to hold office in Montgomery County, Maryland, winning an at-large seat on the Montgomery County Democratic Central Committee. However, her political career began much earlier under the influence of her grandfather, Representative Augustus F. Hawkins, a founding member of the Congressional Black Caucus. She served as a Congressional staff member for 12 years for Reps. Hawkins, Maxine Waters and John W. Oliver, where she was responsible for various domestic, legislative issues, constituent casework and special projects. 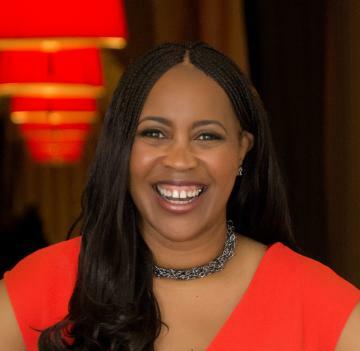 Ransom’s three decade career includes owning her own consulting firm, giving her first-hand experience in the challenges and successes faced by small businesses. She is the former director of public policy for the National Alliance for Partnerships in Equity, where she addressed equity gaps in career and technical education and STEM programs for women, communities of color, and vulnerable communities. She was the vice president of federal affairs, and senior legislative associate for state affairs, for the Center for Responsible Lending. Ransom is the former senior director of state action networks for the Center for Policy Alternatives (CPA) where she worked on policy with state legislators around the country. As part of her tenure at CPA, she became the second non-elected fellow of the Arthur S. Flemming Leadership Institute for State Legislators.